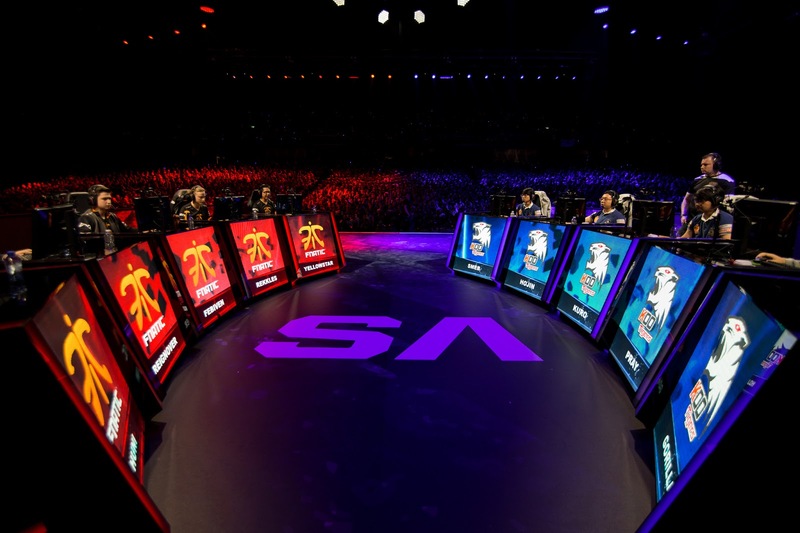 With the 2015 WC Semifinals all finished up and the grand finals are just around the corner,we're back with another edition of This Week in eSports! Continue reading for information and scheduling for the upcoming World Championship Grand Final, World Championship Semifinal results, various team/player news and more! SKT T1 defeated Origen 3 to 0. 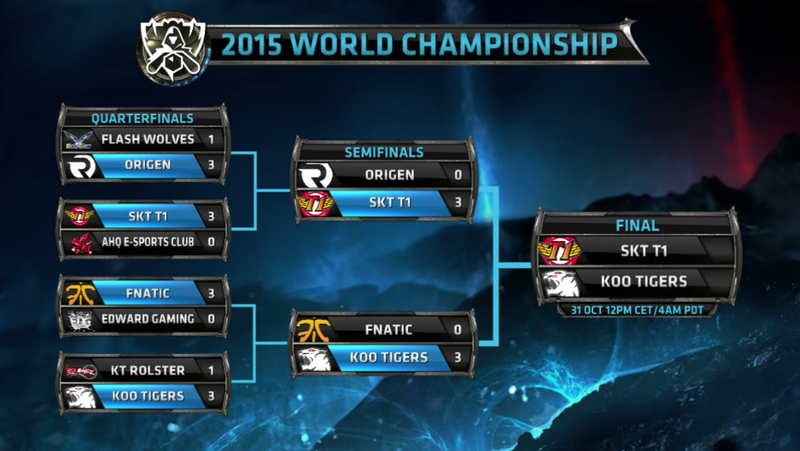 KOO Tigers defeated Fnatic 3 to 0. The tournament will continue with the Grand Final between SKT T1 and KOO Tigers on October 31st live from Berlin. The grand final matches will be played in Best of 5 format and you can find the full schedule here. Here is an updated look at the bracket after the semifinal this last weekend. The final will be on October 31st between SKT T1 and KOO Tigers! The single remaining summoner goes by the name of Dextcod, an EUW Silver III Swain main. Dextcod's final prediction in order to achieve a PERFECT Pick'EM would be that SKT T1 win the Grand Final. Be sure to check out the LoL Esports FLICKR for hundreds of pictures from the event, including the venue, cosplay, and more! Team Impulse has announced that their team is for sale (LoL team and brand) effective immediately. C9 has announced Support and Jungler tryouts, and that LemonNation will be moving to staff from starting Support. An official competitive ruling has been issued upon Cloud9's Jungler, Hai, in regards to the obscene gesture he made to another opponent. Counter Logic Gaming has announced changes to their Mid Lane position, Huhi will now be the teams starting Mid Laner. A slew of 2015 World Championship content, including the new Championship Kalista, 2015 WC Ward skin, and summoner icons + returning Legacy content, is available through November 5th!